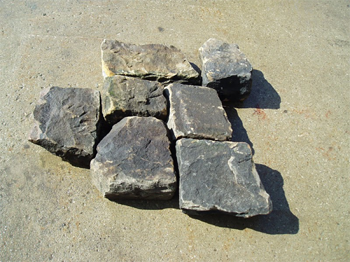 Old Fairmount Stone is natural sandstone recycled from the old Fairmount water reservoir in Cleveland built in 1885. This historical stone was mined from the Berea sandstone quarries in the 1800’s. 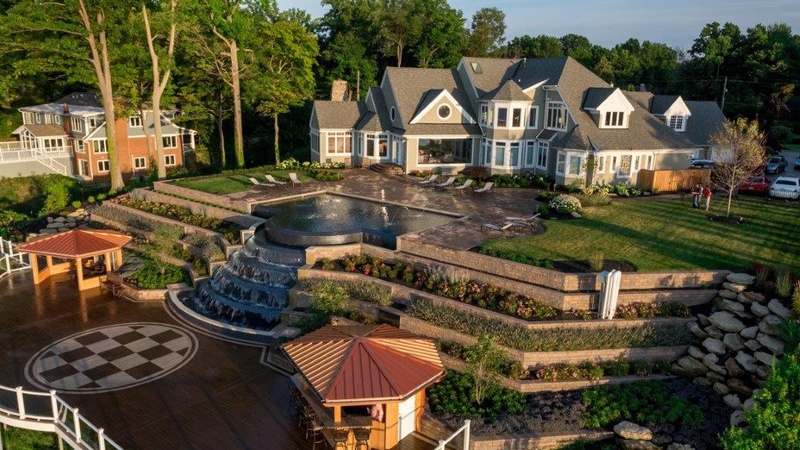 For the Fairmount project, large slabs of stone were hand –chiseled down to smaller easy to handle blocks to fit tightly together to hold water in the basin. The reservoir was 1,500 feet long and 700 feet wide. It was divided into two basins by an embankment, one with the capacity of 47 million gallons and the other 33 million gallons. The Cleveland Water Department at the time had the largest water reservoir in the world. The Fairmount Reservoir was actually located in the suburb of Shaker Heights. Berea sandstone is unique because of its grain size, allowing it to be worked in all direction. This stone also was not mortared and it is extremely clean. The colors range from tan, brown, red and gray. This stone was carved in 12 different sizes that fits perfect together to make a beautiful wall. We have used the stone for walls, fireplaces, steps, water-features, pizza ovens, building foundations and even cobble stone walkways. In 2009 the Fairmount Reservoir was being dismantled and was going to be used as landfill. Gavin Historical Brick from Iowa came into the picture and purchased the stone and it is stored in Cleveland. The reclaimed 6,000 tons of stones are available to local landscapers whose clients might be looking for something different. This stone has great historical value and a wonderful look. This stone can be dry stacked or mortared. Every stone has hand chisel marks in it and fits together very well with little or no cutting. We can design or install this stone into any project. Contact Us for more information about Old Fairmount Stone. 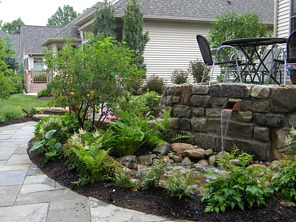 For more great landscaping ideas, download our FREE landscape idea book today!